Feature • Post-IANA Transition Worry: Will the internet, as we know it, survive a 'privatized' ICANN? Or instead, could the internet be run as a 'public good'? ICANN CEO Fadi Chehade's View of the IANA Transition is Shortsighted and Naive | DomainMondo.com: "I think if we get rid of that [IANA] contract we will be free of the pressures." --Fadi Chehadé, (then) ICANN President and CEO, February 10, 2015. Contact ICANN in a few weeks and ask anyone there (assuming they'll be honest), whether they think ICANN is now "free of the pressures." I like that quote of Chehadé's above because it is a prime illustration not only of the Peter principle, but also the fact that no one can hide their own incompetence. I also intentionally chose the quotes first above from Jacobin which, if you are not familiar with that publication, describes itself as "a leading voice of the American left, offering socialist perspectives on politics, economics, and culture" and carries an endorsement from Noam Chomsky, just to put into perspective the IANA transition, and wipe the conceit off the faces of ICANN insiders and their allies from Washington, D.C., to Silicon Valley, who gloat in their own self-deception that opposition to the 'privatization' of ICANN only comes from the likes of Ted Cruz and the right. The challenges ICANN faces at present, and those yet to unfold post-transition, are manifold, and for regular readers of Domain Mondo there is no need, nor the space, to provide a laundry list of present problems, much less speculate on the future. However I will note that the public interest (or public good as Tarnoff calls it) is in direct contrast to the profit-seeking, special interest stakeholders who dominate ICANN processes, structures, and policy-making today. ICANN is hardly indispensable to the world, which may be a relief to those worried about an organization like ICANN operating without any governmental oversight, a global monopoly that "taxes" domain name registrants who are largely, and intentionally, excluded from ICANN's so-called "community," and which grants exclusive global monopolies to gTLD registry operators with carte blanche permission to engage in predatory pricing practices that exploit registrants worldwide. Is it any wonder why ICANN engenders so much mistrust, not only from those within its own "ICANN community" but also among most domain name registrants? While ICANN is supposed to serve as a useful and convenient artifice for managing the global DNS and coordinating names, numbers, and protocols of the internet, it has a troubled history and a sick organizational culture. ICANN could be replaced by one or more successors, and already some hope that happens sooner rather than later. The IANA transition may in fact hasten this. ICANN, left to its own devices, with a "community" largely controlled by a few dominant voices, along with a dysfunctional Board of Directors, may not be around for long. If ICANN, by chance, does make it another 18 years (ICANN was incorporated in 1998), it may be a testament that it adapted and changed to actually serve the global public interest, the needs of the global internet community, not just the special interests who today dominate ICANN structures. But changing organizational culture is hard, and impossible in many cases. Peter Thiel says you have to "fire everybody and start over." Today the culture of the organization known as ICANN is predominantly characterized by its real core values of dishonesty, cronyism (see below), deceit, arrogance, elitism, obfuscation, incompetence, greed, and above all, an ingrained organizational value of evading accountability at all cost, and at all times--just read the IRP declarations in the DotConnectAfrica Trust and Dot Registry cases. "The government's exclusionary licensing arrangement was justified by requiring that broadcasters act as public fiduciaries. Their primary duty would be to serve the "public interest, convenience and necessity," as expressed in both the 1927 and 1934 Acts. The Federal Radio Commission that was created by the 1927 Act described the "public trustee" model in this manner: "... the station itself must be operated as if owned by the public" .... The FCC's authority, while extensive, is constrained by traditional First Amendment principles. Government may not censor broadcasters (under Section 326 of the Act), for example, nor may it regulate content ... The public trustee model has given rise to a distinct genre of First Amendment jurisprudence ... Despite the philosophical complications and political tensions that this arrangement entails, the U.S. Supreme Court has repeatedly upheld the public trustee basis of broadcast regulation as constitutional. [Citing Red Lion Broadcasting Company v. FCC, 395 U.S. 367 (1969)]." "This is just the latest blatant online censorship attempt from the Turkish government, which has become one of the worst offenders on the internet when it comes to quashing dissenting voices. Last week, in its latest transparency report, Twitter revealed that—once again—Turkey was by far the country that sent the most censorship requests. In the second half of 2015, Turkey tried to censor 8,092 accounts. In the first half of 2016, the country almost doubled that number with 14,953 censorship requests." ICANN has its EMEA (Europe, Middle East, and Africa) hub in Istanbul, Turkey. ICANN's 3 hubs (LA, Singapore, Istanbul) were set up during former ICANN CEO Fadi Chehade's tenure. Chehade had a grand vision that ICANN would have 3 headquarters (called "hubs") instead of just a global headquarters in LA. He even said he would move to Singapore and would disperse ICANN staff from LA to the other 2 hubs thereby increasing ICANN's inefficiency, costs, overhead, and complexity. As for ICANN's hub in Singapore, the situation is "not good" there either-- Singapore’s wrong turn on the Internet | AEI.org: "Singapore is creating what, in jargon, is termed an “air-gap” between government computers and the global internet. As a result, work computers inside ministries can communicate with each other but not with the outside world ... Air-gapping is common at high-risk targets like intelligence agencies and nuclear plants, but, as a Cisco System official put it, the approach is “most unusual” government-wide."... Freedom House, found in 2015 that internet freedom had declined for the fifth year in a row. (Singapore, by the way, ranks as only “partly free,” according to Freedom House. Among other actions, the government has cracked down on dissident bloggers and shut down a site under the Sedition Act.) ..."
The government of Singapore has warned big business against their sponsorship of a gay pride rally. Pink Dot’s sponsors include global corporate powerhouses such as Goldman Sachs, JPMorgan, Barclays and Google. Video above published by FT.com. See also: pinkdot.sg. 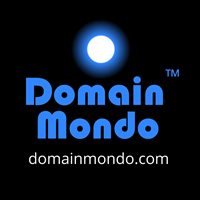 • New gTLDs: "The trend is not looking good for the new domain extensions. Overall, the total number of registrations for the top 10 extensions has been down -- from 14.7m on September 10 to 14.1m today [Oct 1, 2016]." --Coreile.com (emphasis added). • ICANN Independent Review Process (IRP) and Cooperative Engagement Process (CEP) Status Update (pdf; highlighting added) as of Sep 26, 2016, noted: 1) CEP requested Sep 14, 2016, by DotMusic Limited re .MUSIC; 2) .AMAZON IRP Second Administrative hearing Sep 30, 2016. • U.S. jurisdiction: 9/11 Families May Not Be Able to Sue Saudis After All--Bloomberg.com. End of the Google Search Monopoly: 55% of people in the U.S. start their product searches on Amazon.com $AMZN--prnewswire.com; Google $GOOG can withstand the pressure from Amazon because its advertising revenue is diversified (e.g., video ads on streaming site YouTube.com), says Ali Mogharabi, analyst at Morningstar--Bloomberg.com. But maybe not: Amazon’s Echo is the Next Search Bar--Variety.com: "Google is telling home audio vendors they won't be allowed to add competing smart assistants like Alexa if they want to continue to use Google Cast;" and note Amazon's new Twitch Prime: "... free game loot every month ... discounts on new-release box games ... an ad-free viewing experience, exclusive emotes and chat badge, and one free channel subscription every 30 days ..."
Samsung's new 'safe' Galaxy Note 7 phones reportedly overheat, explode--telegraph.co.uk. Google will release 'Pixel 3' laptop with 'Andromeda' OS in Q3 2017--AndroidPolice.com. Watch the Google's October 4th event online. Note also Google Neural Machine Translation system (GNMT)--research.googleblog.com; and G Suite | gsuite.google.com (formerly Google Apps for Work). Twitter $TWTR in Play: Is the Price Too High? (video)--DomainMondo.com. Facebook Profits over Privacy? $FB appeals German order on WhatsApp data--Reuters.com. India made the biggest leap in the 2016-17 global competitiveness index--Quartz | qz.com. In the 2016-17 rankings, U.S. ranked 3rd, China 28th, and India, Asia’s third-largest economy, ranked 39th among 138 countries. Last year, India was at 55. NPR.org: "We are on the threshold of possibly understanding both now and the flow of time." Deutsche Bank: What the Hell is Going On?--MishTalk.com. See also I’m in Awe of How Fast Deutsche Bank is Falling Apart--WolfStreet.com: "This is how Lehman came unglued. Slowly and then all of a sudden;" and EU Banking Mayhem--WolfStreet.com: "The can has been kicked down the road for years. Now negative interest rates appear to have inadvertently crushed the can." Express.co.uk: "Eurozone's banking system could implode, dragging the euro down with it, if Angela Merkel's government allows Deutsche Bank to fail." Finally, Deutsche Bank's Troubles, Europe's Failures | Bloomberg.com Editorial: "... recapitalization. That means performing stress tests that reveal the true scale of banks' needs, figuring out which institutions can and should be allowed to fail, and providing public funds to shore up the rest if necessary." Near ‘Collapse,’ Minnesota to Raise Obamacare Rates by Half | Bloomberg.com: "The increases range from 50 percent to 67 percent, Commissioner Mike Rothman’s office said in a statement. Rothman, who regulates the state’s insurers, is an appointee under Governor Mark Dayton, a Democrat. The rate hike follows increases for this year of 14 percent to 49 percent." Election 2016's BIG BUCKS: Wall Street's favorite Hillary Clinton (raising and) outspending Trump 3 to 1 ($526 million vs $182 million, including SuperPACs) through August, 2016 says Bloomberg.com but is it enough to "buy the election?" See also This Chart Predicts Trump Will Win, Unless the S&P Rallies in October | Bloomberg.com and The Debate | Lefsetz.com: "I can’t remember a thing Hillary Clinton said ... Hillary’s out of touch. She’s so focus-grouped that she’s lost her identity ... [and] I want Hillary Clinton to run my government ..." see also Fed on ropes as Yellen seeks to fend off Trump blows--FT.com: "Populist attacks from all sides make central bank [US Federal Reserve] vulnerable to calls to rein it in, say analysts." Finally, more on why you should be "skeptical of polls" from Bloomberg.com. Reckoning Comes for U.S. Pension Funds as Investment Returns Lag: "It’ll require increased pension contributions on the part of the states and local government, but most state and local governments don’t have the ability to do so."--Bloomberg.com. See also How a pension deal went wrong and cost California taxpayers billions | LATimes.com: "It was a deal that wasn’t supposed to cost taxpayers an extra dime ... California [Democrat] Gov. Gray Davis signed legislation that gave prison guards, park rangers, Cal State professors and other state employees the kind of retirement security normally reserved for the wealthy ... taxpayers will bear the consequences for decades to come." Meet the California Couple Who Uses More Water Than Every Home in Los Angeles Combined | MotherJones.com: Meet "the top 1 percent wrapped in a green veneer, in a veneer of social justice." The Financial Basket Of Deplorables | tonyisola.com: "... choose transparency, low fees and an investment advisor who will look out for your best interests." Taking the Stealth Out of [Stealth] Editing | NYTimes.com re: the New York Times' bad habit of changing stories and acting as if nothing was changed. The Top Idea in Your Mind | PaulGraham.com: "I'd noticed startups got way less done when they started raising money ... The problem is that once you start raising money, raising money becomes the top idea in your mind. That becomes what you think about when you take a shower in the morning. And that means other questions aren't ... I've found there are two types of thoughts especially worth avoiding ... One I've already mentioned: thoughts about money ... The other is disputes ... avoid disputes if you want to get real work done ..."